The final CLoSer concert of our Émigré series is tonight, and we’re really looking forward to performing with the wonderful Ljova, who was a guest yesterday evening on BBC Radio 3 In Tune with Suzy Klein. Ljova played three of his own works, and talked about his music, experiences of leaving Russia for New York, and of the continual struggles of forming an émigré identity. 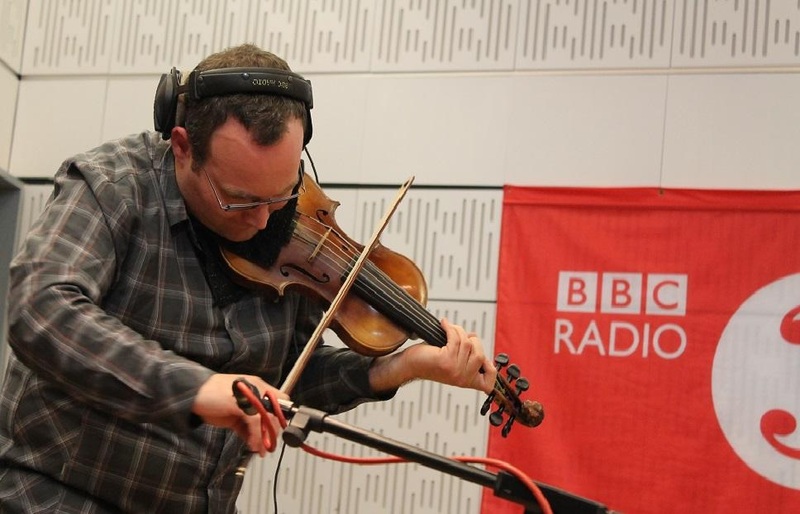 Lev ‘Ljova’ Zhurbin on BBC Radio 3 In Tune, 28 April 2015. Taken from @BBCRadio3 Twitter page. The episode is still available to listen to on catch up, and you can find Ljova from around 1hour 14mins in. Tickets £15 or £5 for students (pre-register at www.cls.co.uk/cls-fiver) available from Spitalfields Music Box Office or via phone on 020 7377 1362.